We start by sourcing and curating a collection of award-winning, whole leaf teas from around the world. We then provide on and off-site training to ensure you and your team bring out the best possible flavour in every cup. As a team of passionate brewers, blenders, tasters, curators and, perhaps most importantly, drinkers of delicious tea, we get excited about getting others excited about tea. 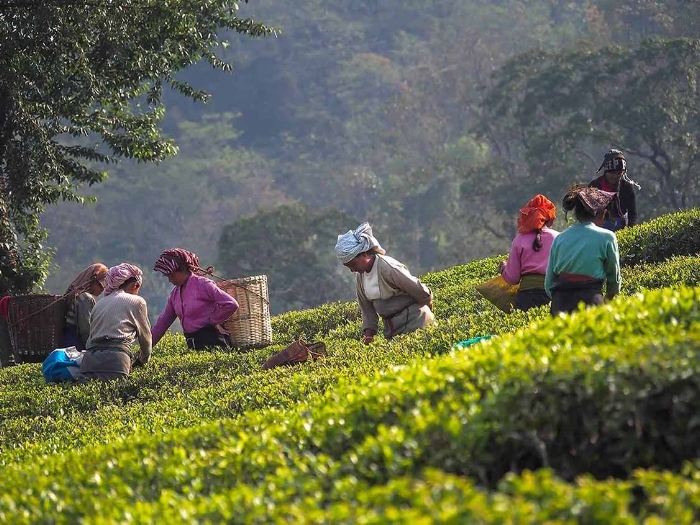 We work hard to find, taste and select teas from farms and co-operatives around the world, always looking for something special that will stand up on its own without blending or flavouring. We understand that our Wholesale partners operate in fast-paced environments and that the tea supply is just one of the many things to juggle. We therefore pride ourselves on offering a reliable service, aiming to get orders out quickly and efficiently. It takes care and attention to make the perfect cup of tea, which is why we offer all of our selected Wholesale partners comprehensive training. As cafe-owners ourselves, we can also help with tea menus, as well as choosing the right teaware and equipment. From our Monthly Tea Tasting evenings to sharing insights, passing on recipes or just getting together for drinks, we love getting to know our Wholesale Partners. Sharing new recipes e.g. iced tea, cocktails etc. Sharing customer insights e.g. bestselling teas, seasonal patterns. For more information about our products, pricing and partnership opportunities, fill in the form below. You can also contact Caleb via email at wholesale@goodandpropertea.com to arrange a tea tasting at our Tea Bar on Leather Lane. Alternatively, you can view our product range and prices by visiting our Online Order Portal here.